Does design have something to prove? Sure. Design proves an idea. Design proves its worth by both enhancing the idea and staying out of the way at the same time. Design proves itself. Silently. Think about it: are you more apt to notice something that is hard to read or bizarrely out of place, or something that is well thought out, not confusing to read, and flows correctly. It’s the former, of course. You’re more apt to notice the thing that doesn’t work because it impedes your understanding. If something—anything—is properly designed, that allows the purpose behind the idea to shine through. Like an interstate system that allows for smooth flow of traffic during rush hour or your favorite vegetable peeler you can use without your hand cramping up, you use it because it works. You use it without thinking about WHY it works. It just does. Same goes for book design— you can read a book and enjoy it because it is well done and legible without thinking about WHY it is legible. And that proves the worth of design. 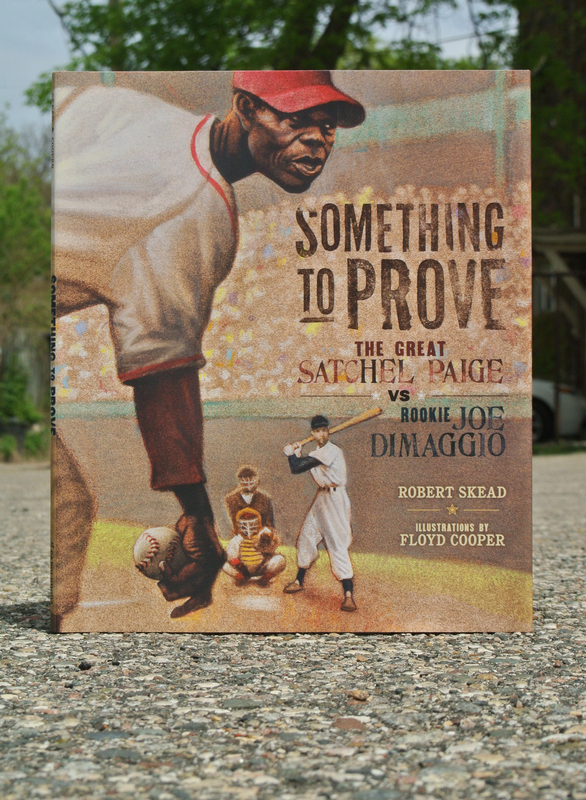 When you get to work with artists like Floyd Cooper on gorgeous picture books about baseball (Something To Prove by Robert Skead, published by Carolrhoda Books, 2013), what the reader should notice is the story and how well the art & words complement each other to tell the story. On this project my job as designer and art director was to help guide the artist to the proper feel, content, and composition while leaving room for text on the page—not to add a bunch of self-serving design elements that distract from the story. Anything added needs to match the feel and the idea. 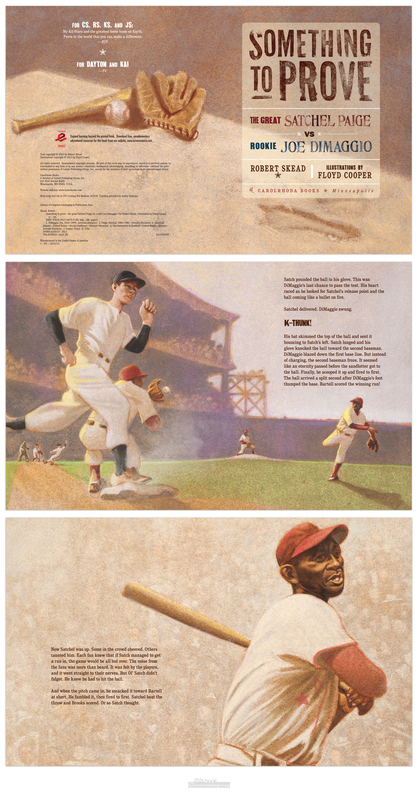 Which is why the main text in the book is simple & legible, and the display type resembles old baseball game posters—to enhance the story & the experience, help the reader travel into the time & place.